Azerbaijan intends to significantly increase hazelnut production in 2018, according to the Azerbaijan Hazelnut Exporters Consortium. Its representative noted that the Consortium plans to increase production by almost 48 percent. “We plan to produce 60,000-65,000 tons of hazelnut in 2018, which is much more than last year. As for exports, this depends not only on increasing production, but also on prices in world market,” he told Trend on April 8, adding that if prices do not drop, the growth of exports will be about 10 percent. Noting the importance of increasing production, the Consortium representative noted that it is necessary to apply right agrotechnical measures in the gardens. “To this end, the Consortium has created a new training center for 60 people. Three times a week we provide farmers with the necessary training,” he said. In addition, last year the Consortium sent a delegation of exporters to a hazelnut processing plant in the U.S. state of Oregon so that they would learn the process. The representative added that this year the work will continue to expand the geography of exports. “This year our goal will be to conclude agreements with large buyer companies. Having the necessary advertising, it will be possible to conclude more profitable contracts with such companies,” he noted. Presently, the main markets for the Azerbaijani hazelnut are Italy, Russia and Germany. Chairman of the Consortium Ismail Orujov has earlier informed that this year it is also planned to start supplying hazelnut to the markets of Africa and Arab countries. Today Azerbaijan makes up 4 percent of world hazelnut production and ranks 5th in the world for hazelnut exports. 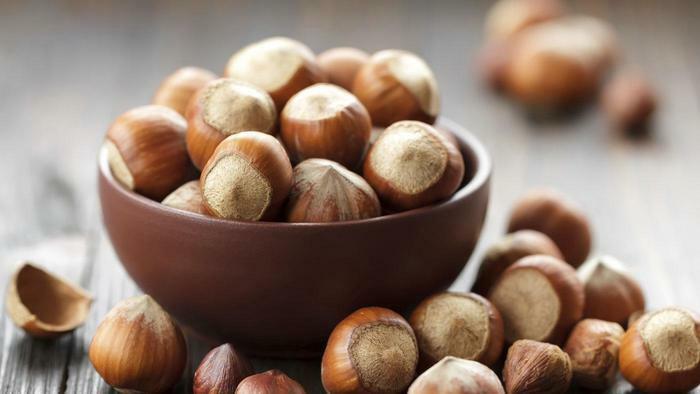 Thanks to appropriate weather conditions, the country produces about 40,000-50,000 tons of in-shell hazelnuts annually. Several varieties of hazelnuts, such as Atababa, Ashrafli, Ghalib, Ganja, Sachagly, Topgara and Yagly, are cultivated in Azerbaijan. Many of the country’s hazelnut orchards are situated in the foothills of the Caucasus Mountains in the regions of Gakh, Zagatala and Balakan. Last year, Azerbaijan produced 45,500 tons of hazelnut, which was 32.9 percent higher than in 2016. The country exported hazelnuts worth over $100 million in 2017.